Tilo Uischner is a self-taught, Berlin based, artist combining intarsia (marquetry inlaying) and acrylic over wood. 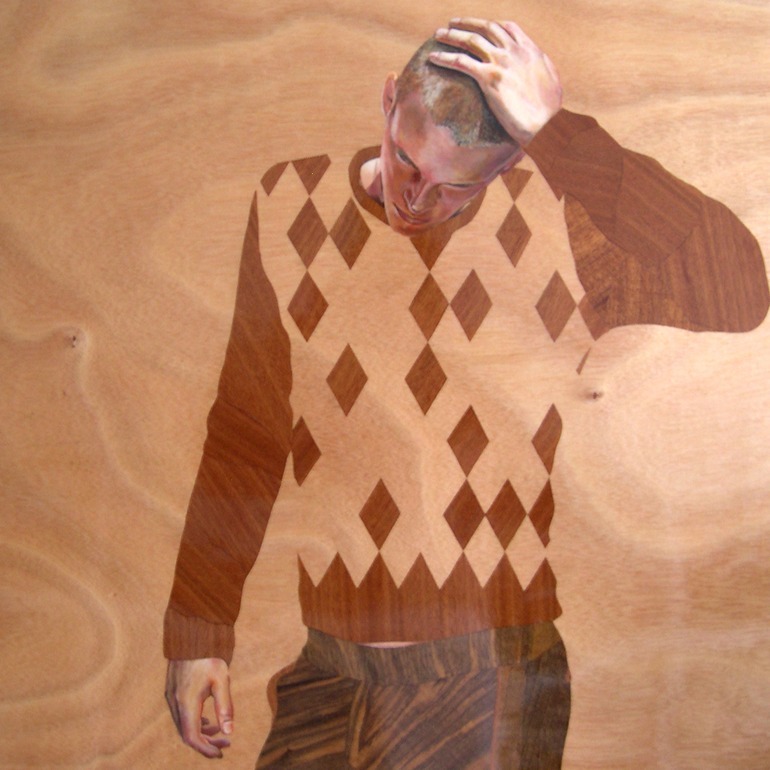 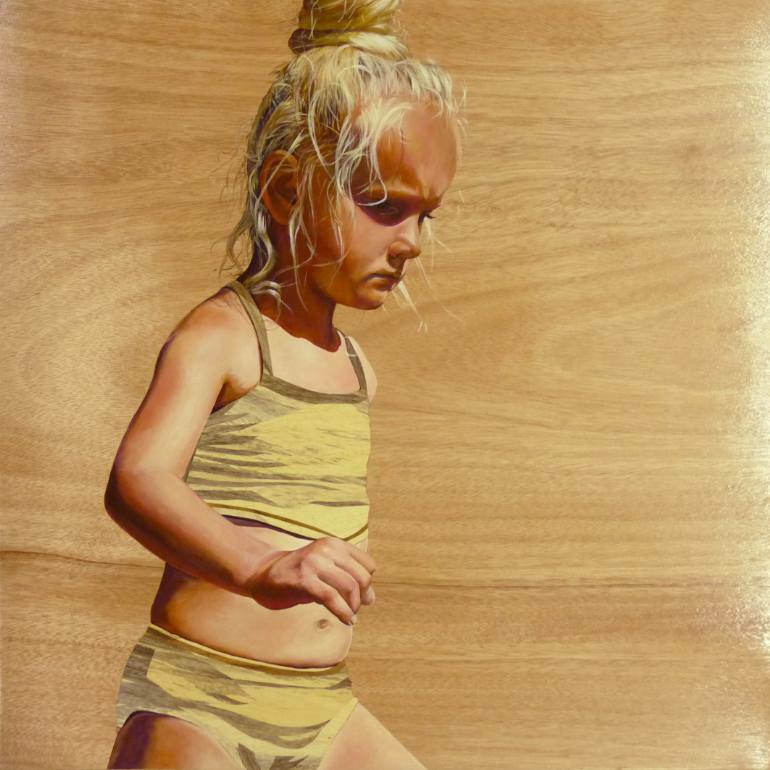 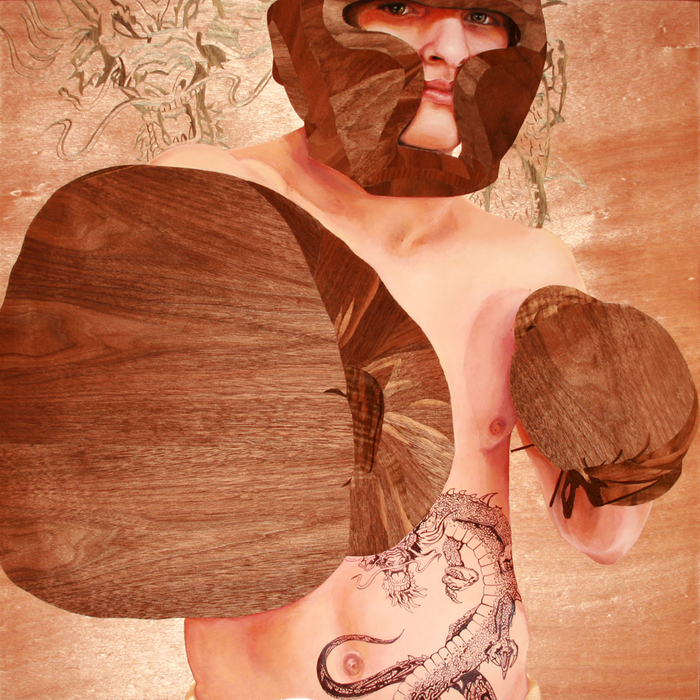 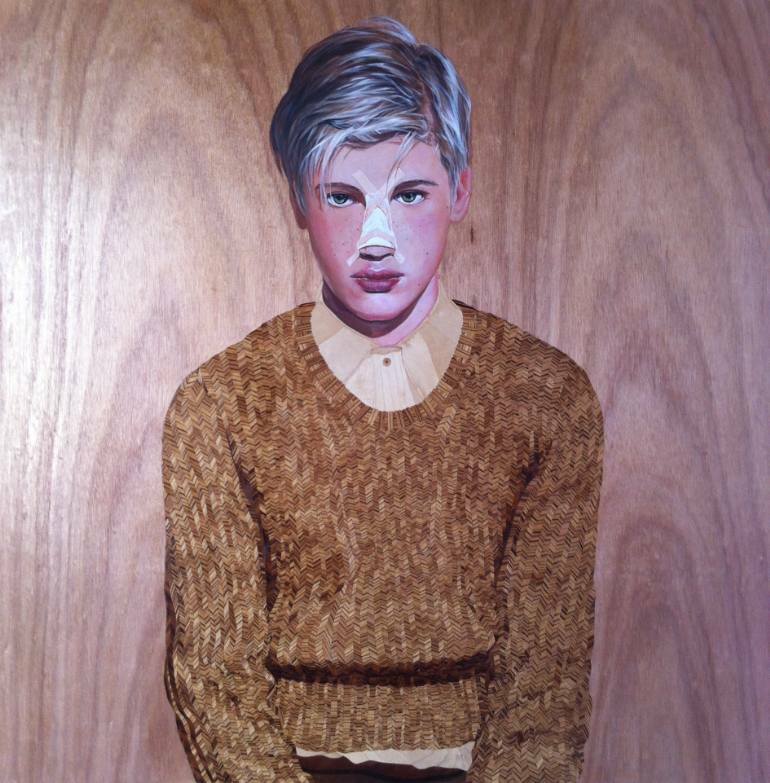 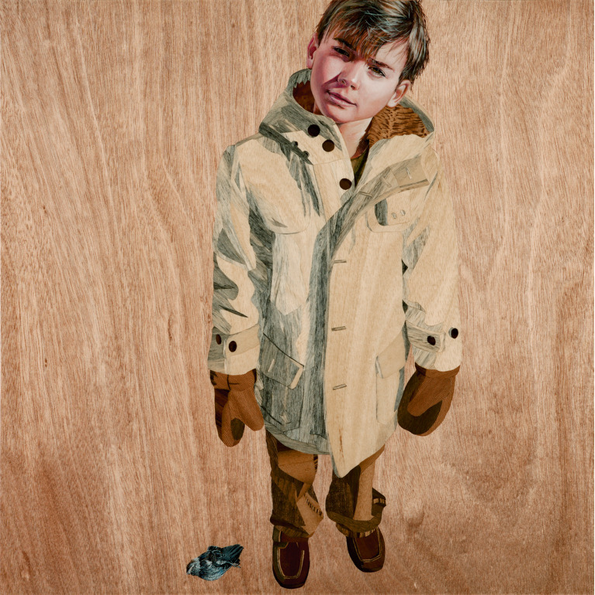 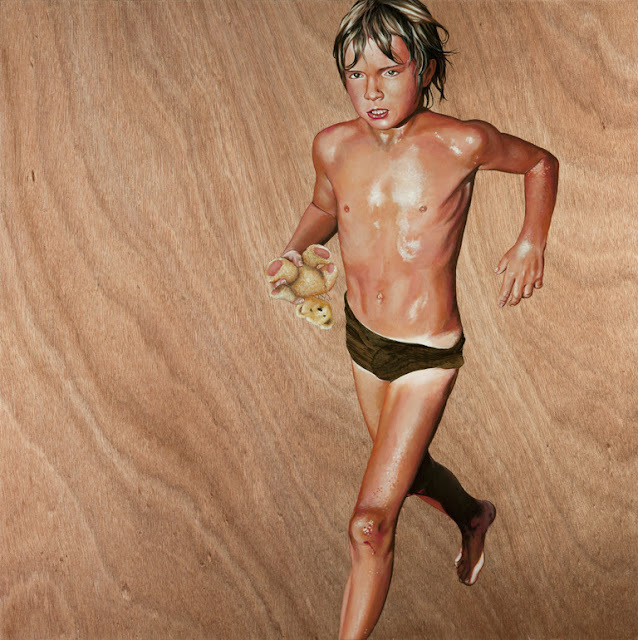 He creates portraits of an ambiguous nature, blurring the line between the marquetry and the painting. 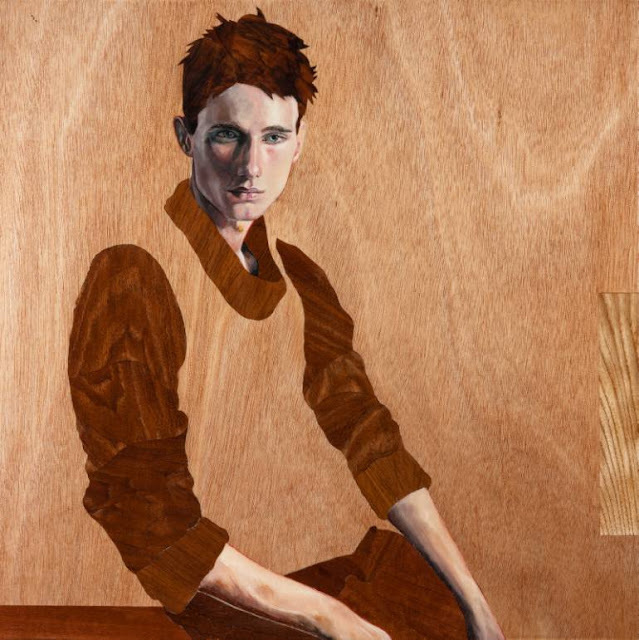 The portraits first draw your attention, either by gazing directly at you, almost provoking, or because of the sharp lighting on the masterfully depicted skin. 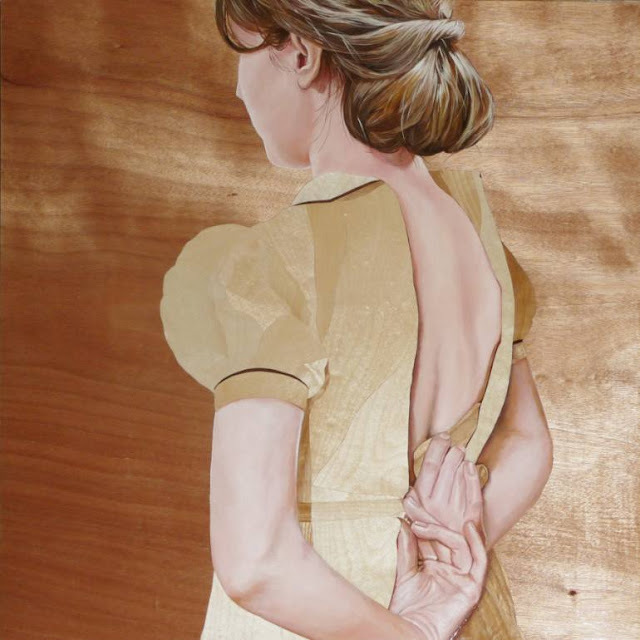 It is after this captivating fist impression that you start paying attention the the wonderful details on all the rest, of the accessories, or even the absence of elements felt in the negative space left behind between that which is depicted and the background. 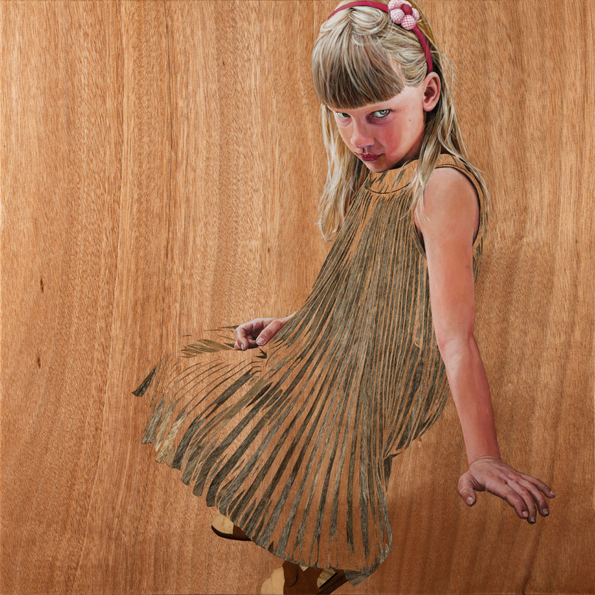 And this background is alive revealing its warmth and texture.